A visit to Rhett’s at the George Sherman Union for Richardson’s Ice Cream was the first stop on our frozen treat journey. Rhett’s, with its 1950s diner façade and LED lighting, truly set the stage for our taste-test of BU ice cream, bolstered by the fact that the GSU was full-to-brimming with sorority events and tired-looking students. For our taste-test, we decided on vanilla and “green monster,” their Red Sox-inspired take on mint cookies-and-cream. At $3.49 per small cup, Richardson’s was our most affordable visit. The creaminess of both flavors was overwhelming, though this may have been exacerbated by how melted it was. The vanilla flavor was particularly intense while the green monster was underwhelming in comparison. Overall, Richardson’s was good, but was about equivalent to your run-of-the-mill grocery-store ice cream, and possibly freezer-burned. 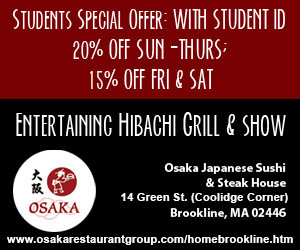 However, you can’t deny the convenience of using dining points to get your ice cream of choice. 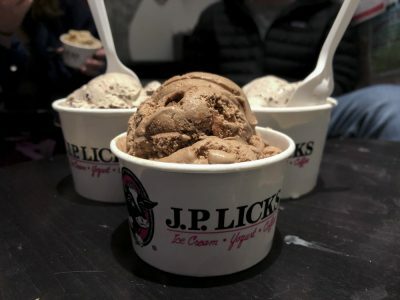 Within the walls of J.P. Licks live frozen treats that several described as “life-changing,” “truly beautiful” and “dank as hell” — yes, the ice cream is just that good. Our small cups were $5 a piece, and the flavors themselves are impressive in both quantity and quality, wowing the tastebuds with their authenticity and overwhelming the indecisive customer. The mint cookies and cream was particularly popular among our reviewers. It’s decidedly the best flavor at a venue that boasts more than 25 different options to satisfy the palate. 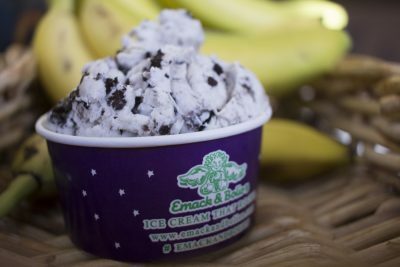 If there is one place in which this Boston-area-based ice creamery falters in the slightest, it’s in their most classic flavor. The vanilla is good, but perhaps not as good as its Ben & Jerry’s counterpart. 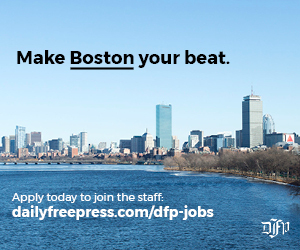 And like Ben & Jerry’s, this Jamaica Plain staple may think it’s artisanal, but could be more grocery-store brand than it lets on. Even so, the eclectic style and the creaminess of its options cannot be denied. With its unique flavors and satisfying options, J. P. Licks stood out. Nestled into a Newbury brownstone, Emack & Bolio’s is tiny, but teeming with bright, bold colors. Their aesthetic sort of feels like a rainbow exploded in outer space. Expectations were high for Emack & Bolio’s, but their ice cream didn’t impress us much. The textures were good, but the flavors left us longing for more. The vanilla was creamy but lacked the substantial flavor that one would expect to match such great texture. The vanilla bean essence was noticeable, but it didn’t have the savory punch that we hoped for. It tasted almost like it had been made with skim milk rather than cream. The cookies and cream ice cream was too similar to the vanilla. The main component setting them apart was the texture of the Oreo chunks, of which there were a pleasing amount. But the flavor was mediocre, leaving us disappointed once again. At $5.25 per small cup, Emack & Bolio’s was also the most expensive ice cream we tasted. Ben & Jerry’s is a staple in the ice cream world, and the Vermont-based chain did not disappoint. 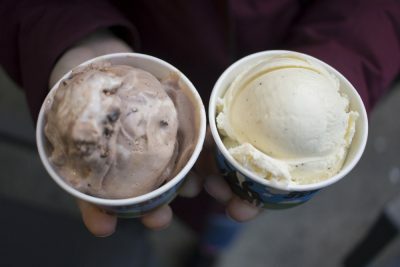 We visited their Newbury Street store and got one scoop of vanilla and one scoop of “chocolate shake it” — a mash-up of malt, chocolate cookie-covered fudge and marshmallow swirls. 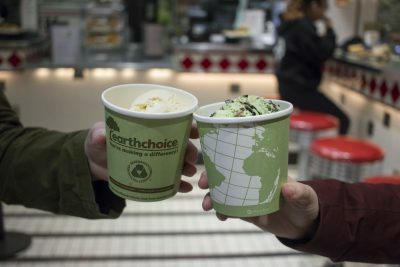 We acquired ours on Free Cone Day, so we didn’t pay anything for them, but typically a small cup would cost you $3.99. Of the four vanillas we tried, our scoop from Ben & Jerry’s had the best texture. It was smooth and creamy like ice cream should be, but it still held some of its bite after sitting out for a while. This vanilla was also high on flavor, with more hints of actual vanilla bean than any other we tried. Still, there’s only so much a vanilla can be. We found it was the chocolate shake it that set Ben & Jerry’s apart from the pack. The presence of malt meant this flavor came on bitter at first, which could be off-putting to an unsuspecting consumer. But a persevering bite brought reassuring chocolate, with hints of smooth marshmallow to balance out the malt. One of Ben & Jerry’s strengths is its plethora of flavor offerings, meaning there’s always something unexpected on tap. “Chocolate shake it” had everything we’d want in an ice cream and then some.